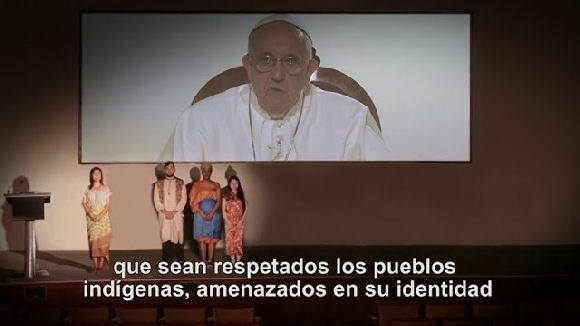 Bergoglio in rebellion against God promotes cultural Marxism and idolatry. 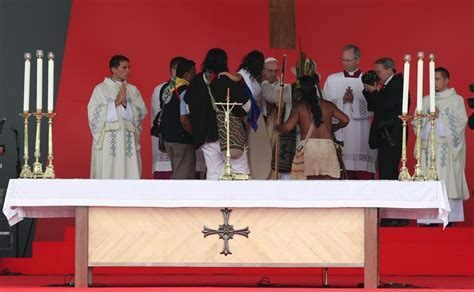 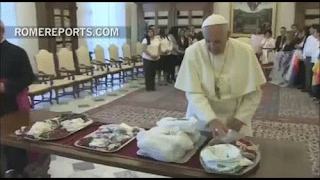 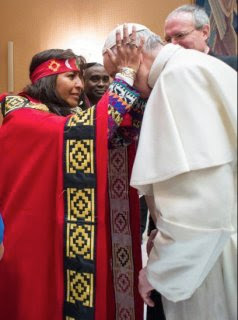 Bergoglio violating the First Commandment and disobeying the Command of Jesus Christ to evangelize all the Creatures and baptize them so that they can be saved. 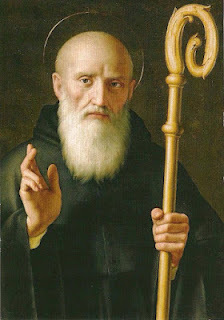 Saint Benedict instead destroyed the idols that the pagans rendered worship offering sacrilegious sacrifices. 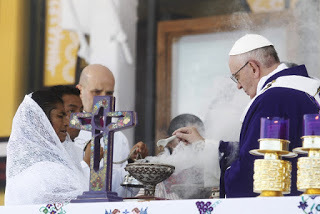 He demolished the temple of Apollo built an oratory in honor of St Martin, and where the altar of Apollo had been built an oratory to St. John In addition, with his preaching he attracted the Catholic faith to the people who lived nearby. The roots of Bergoglio's neo-Pantheism Marxism in Argentina.